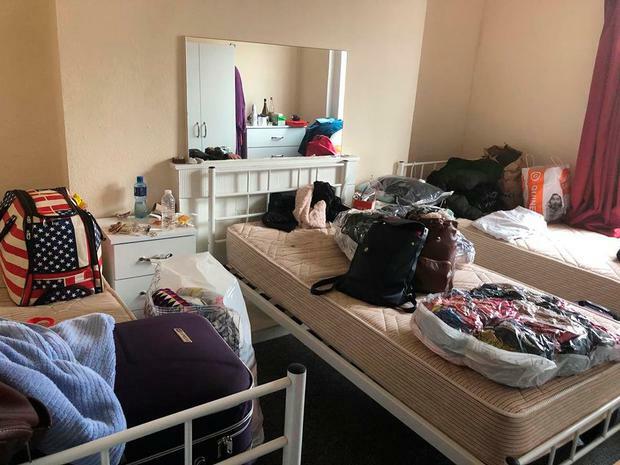 The owner of several houses in Dublin’s north inner city has brought High Court proceedings against persons he claims are illegally occupying the properties. 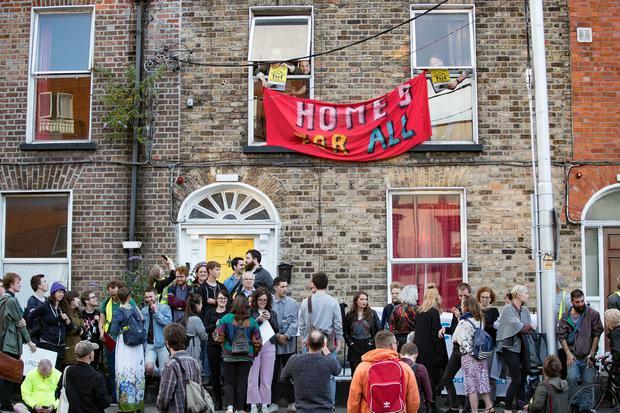 The action has been taken on grounds including fire safety concerns and because the house’s insurance coverage will be cancelled if the occupation, which has been described as a political protest and has been the subject of several recent media reports, continues. The action has been taken by PJ O Donnell (as trustee of the Pat O Donnell & Co Ltd Retirement and Death Benefit Plan) against persons unknown who he claims are trespassing at one of seven properties it owns located at 33, 34, 35, 36, 37, 38, and 39 Summerhill Parade, Ballybough, in Dublin 1. Lawyers for Mr O’Donnell told the High Court on Wednesday that the owner seeks several injunctions including ones requiring all those occupying number 35 to leave and to cease interfering or dealing with any of the properties. The court heard while number 35 is currently occupied, there has been some interference with the other properties, and there are concerns the others may be interfered with in the future. Mr O’Donnell, who holds the properties in trust for the members of the benefit plan, also seeks damages for trespass and intentional interference with the owner’s economic interests. The court heard there are 67 members of the benefit plan, including 18 pensioners, who are employees and former employees of Pat O Donnell & Company. At the High Court on Wednesday Mr Justice Charles Meenan granted the owner, on an ex parte basis, permission to serve short notice of the proceedings on the occupiers. The court also granted the owner permission to pin the motion papers on the occupied property and made an order the all those in occupation identify themselves to the High Court. The Judge made the matter returnable to Thursday. Julia Lawlor Bl for the owner instructed by Solicitor Tony Williams for Mr O’Donnell said that the properties were vacated in May after a senior officer with Dublin City Council Fire Brigade raised fire safety concerns. Arising out of those concerns the owner decided to vacate the properties until all necessary upgrading had taken place. Payments were also made to those who had to vacate the properties so they would have funds to find suitable alternative accommodation. The properties were left vacant until the required works were completed so that the accommodation is safe and appropriate. Works were scheduled to take place to refurbish the properties, but the actions of those in occupation are delaying the process, counsel said. In recent days the Fire Brigade has informed the owner that if the occupation continued it would have to take action against the owner. Counsel said her client has also been informed or a risk that the properties insurance will be cancelled if the situation continues. Counsel said her client does not know who exactly is in occupation. Various persons have given interviews to various media outlets but they remain unsure exactly who is in the property. In a sworn statement to the court, Mr O’Donnell said he was on holidays abroad when he heard reports about the occupation. He said he had hoped they would leave voluntarily as the buildings are not fit for occupation, but this had not happened. He said he did not know who or how many people are in the properties, but said he is extremely concerned about the possibility that alterations have carried out to what are protected structures. When his agent attended at number 35 he saw a number of people wearing Leo Varadkar masks and described themselves as being the occupiers. The did not identify themselves and refused to give his agent access to the property. Mr O’Donnell said he is uncertain if any if anyone has gained access to the other properties he is concerned that they will in the future.